Wanja is one of the few dishes that I’m including in my Korean Food Project that I have not previously sampled while in Korea. I just saw some recipes in a book, thought they looked good and decided to try them. 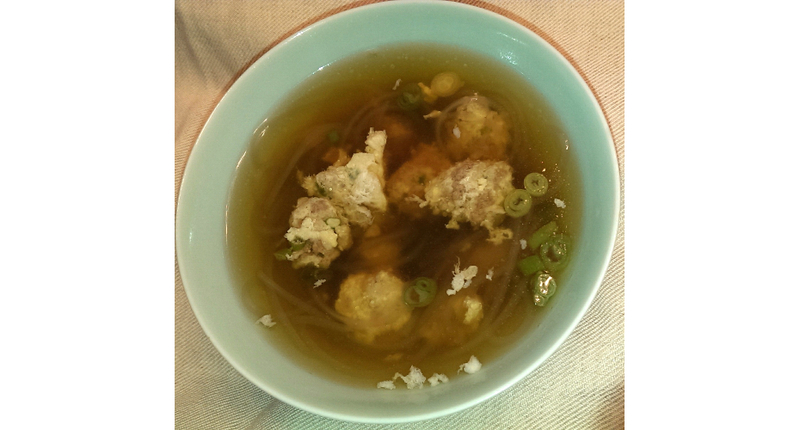 There are two ways to eat wanja meatballs: fried and dipped in vinegar-soy sauce or boiled in broth, like a Korean version of Italian Wedding Soup. The first type of wanja is larger than the second type and also contains tofu. I have included recipes for both dishes below. *If you want to make this recipe gluten free, you can use all-purpose gluten-free flour. Squeeze out excess liquid from the tofu. ** Crumble tofu into small pieces with hands. Place in large bowl. Add remaining ingredients (scallions, garlic, 1 Tbs. oil). Mix well. 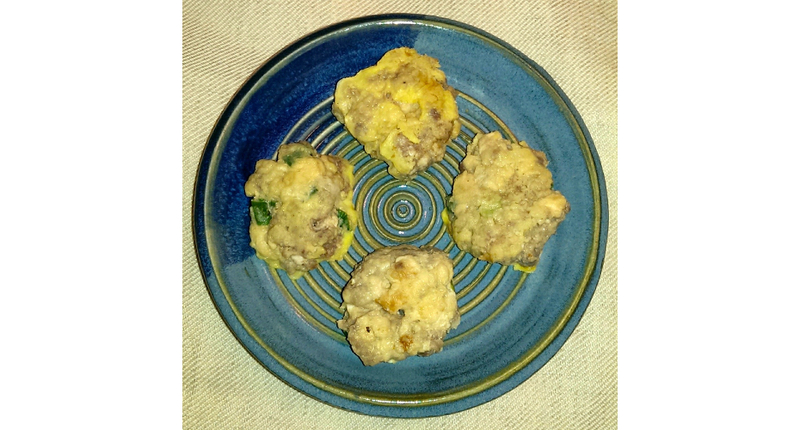 Shape beef and tofu mixture into 2-inch balls and flatten the balls into patties. Dip patties in flour and then in egg. Add a small amount of oil to frying pan. Fry patties until brown and done on both sides. Serve with vinegar-soy sauce (see recipe below). **I did this by sandwiching the block of tofu between two cutting boards and squeezing the boards together. Put 2 Tbsp. of sauce into individual dishes for dipping. 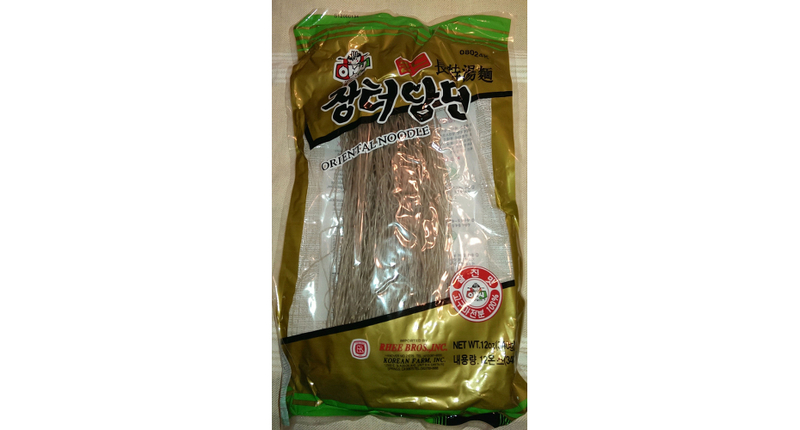 ****You can buy these noodles in Asian grocery stores. They are sold dry, in a large bag. Look for the words “sweet potato starch” in the ingredients list. See photo above. Combine ground beef with Mixture A. Shape the meat into small balls, about ½-inch in diameter. Roll each ball in flour, then dip in beaten egg. Boil soup with Mixture B. Cut or break sweet potato noodles into 7-inch lengths. Put into boiling soup.